The guys at Donut Media help the Internet learn about tons of different cars, and in their latest video, they take viewers on a tour of the Ford Police Interceptor. It’s a great video and covers (almost) everything about the Ford Police Interceptor – née the Ford Explorer. This video allows you to check out the Ford Police Interceptor without having to get in the back of one, and hopefully, you won’t be fact-checking the video in person any time soon. The video series is called Bumper To Bumper, and the video breaks down everything from the lights and sirens, to the crash bar and tires. It takes dozens of different components to transform a regular Ford Explorer into a car fit for law enforcement, and you can see it all in one YouTube clip. What the video doesn’t mention, though, is the upcoming 2020 Police Interceptor Utility. The upcoming vehicle is based on the CD6 Explorer, and will have a “standard hybrid all-wheel-drive powertrain,” paired to a 3.3-liter V6 engine. Ford says it will be one of three powertrains available in the Police Interceptor Utility, the other two being a 3.0-liter twin-turbo V6 and a 3.3-liter V6. Ford’s 10-speed automatic transmission will do the shifting and a standard full-time all-wheel drive system with deep snow/sand traction modes will keep law enforcement personnel ready for anything. There’s tons of tech available for the Ford Police Interceptor, too – including bulletproof panels and a strengthened rear end for improved crash resistance. Those things add weight, but Ford predicts the police-prepped Explorer with the hybrid powertrain will return an EPA-estimated fuel economy rating of 24 MPG combined. That’s 41 percent better than the outgoing Police Interceptor Utility with the 3.7-liter V6 (the engine mentioned in this video). Ford predicts the hybrid powertrain can save police departments between $3,500 and $5,700 per vehicle annually in fuel costs. 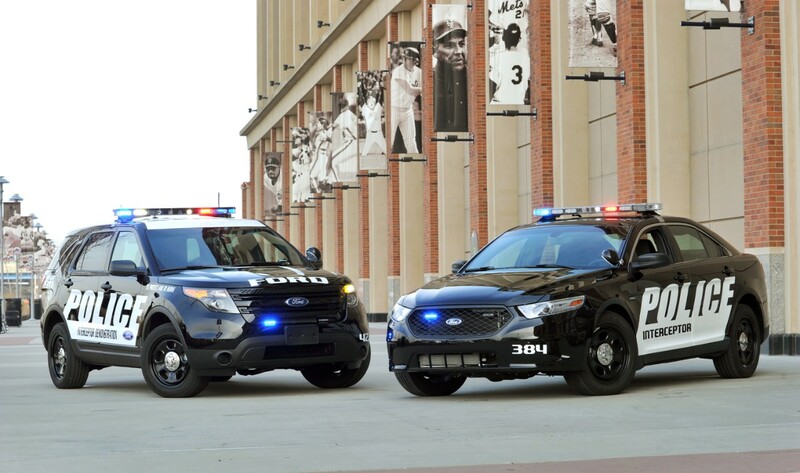 The Ford Police Interceptor is the quickest cop car in America, so if you see one behind you… don’t get any ideas.